M. Night Shyamalan’s conclusion to his Unbreakable trilogy is satisfying in its context but never quite lives up to the promise of the first movie, almost 20 years on. After the success of Split, the secret Unbreakable sequel, Glass needed to wrap up the story of David Dunn (Bruce Willis) and our eponymous villain (Samuel L. Jackson) with some aplomb and finesse. It does not quite succeed but the film contains enough twists and turns – not to mention a tour de force performance from James McAvoy (playing ‘the Horde’) to at least justify its existence. Personally, I am still waiting for a superhero film that can go outside the limits of a Marvel/DC franchise to explore its tropes in a deconstructive manner – like Alan Moore did with superhero comics in the 80s. 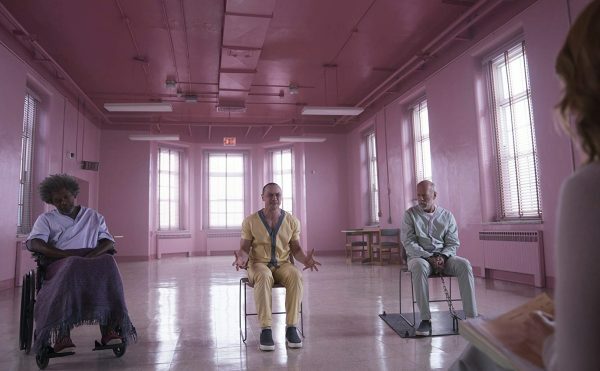 Glass is not that movie, but Shyamalan tries his best to cast a critical eye over superhero comics cliches but only does so superficially. The main premise – which is presented as a twist – is quite mundane in the final analysis but at least it demonstrates that the director is trying to surprise his audience, even if all that is quite hackneyed in 2019. An entertaining two hours nonetheless.